The technology has been slowly but steadily evolving. The lack of imagination has been the only hindrance in developing gadgets. The product of this technological evolution has been the smartphone. The smartphone has revolutionized the way we do most things and has become a companion in our daily lives. 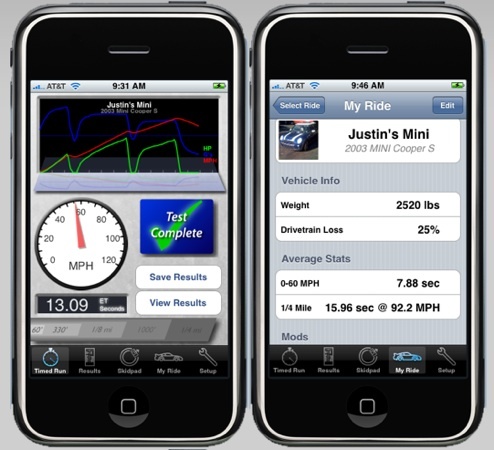 This application uses the smartphone’s built in three-axis accelerometers to calculate different parameters that relate to your car. With this application, you can measure; the trap speeds, quarter-mile elapsed times, horsepower, lateral g-forces, braking g-force and the 0-60mph times and speeds. All you need is to enter your car information including weight and the accelerometers in the smartphone senses the movements and converts it into real-time data. 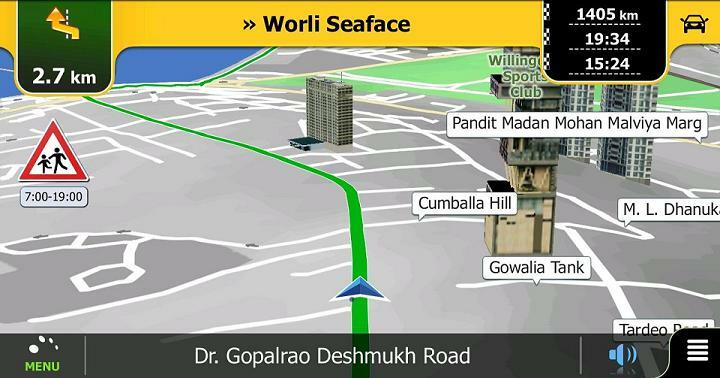 The application also allows you to edit vehicle settings so that more accuracy is achieved. This is a free application that together with the GoPoint cable allows you to plug into your car’s On-Board Diagnostics (OBD) port and get real-time information from your car’s built-in computer diagnostic system. 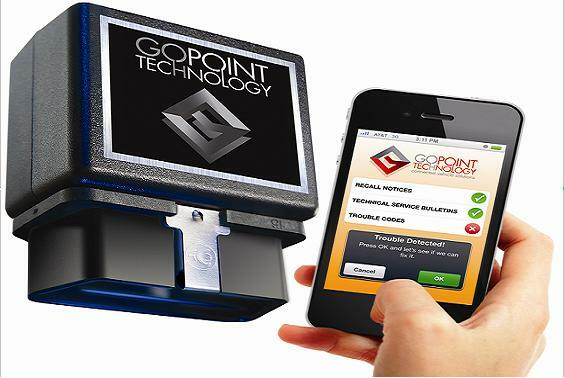 If you are experiencing problems with your car, the GoPoint app will extract the Diagnostic Trouble Code. These are standardized codes and the GoPoint app will explain it in simple English. This will prepare you for what to expect when you take your car to be repaired. The cable can be used with other applications to monitor other things like fuel economy in real-time. This is an application that substitutes your garage door opener. 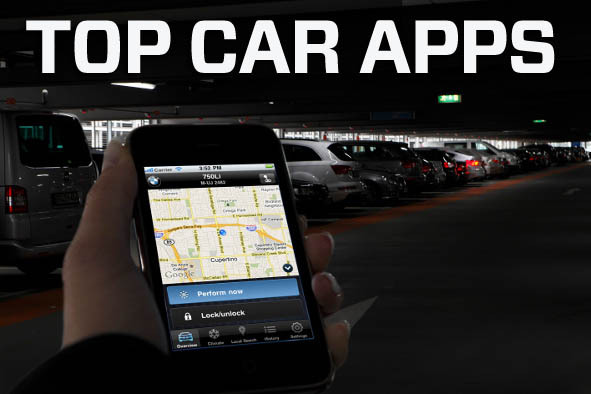 The app will work as long your smartphone has a network connection and does not need you to be in the proximity of the garage door to work unlike garage door opener. With app installed in your phone, you need not worry if you forgot to lock your garage or not as the app will check it for you and lock it if left open. If there is a delivery to be made to your car garage then you can open it remotely and lock it when the delivery is done. The app comes with extra security as it has anti-burglary coding that prevents emulation of the remote function by a would-be robber. 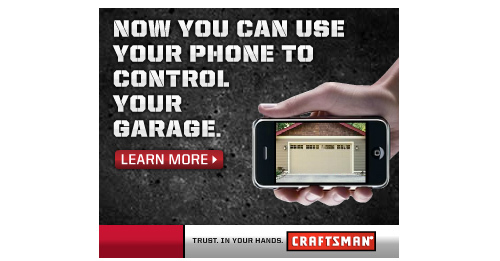 You have to install a Craftsman AssureLink Internet Connected DC Chain Drive Garage Door Opener for this app to function. This is an app that comes to the rescue of vehicle owners that do not have on-board data centres installed in their cars. The app will allow you to enter and save all your car information and start tracking your driving habits to calculate fuel efficiency. The app will give you the amount you have spent after each trip. It also displays carbon footprint. This is a free app that connects commuters who have the vision of cutting down on their carbon emission into the atmosphere while saving money spent on fuel. 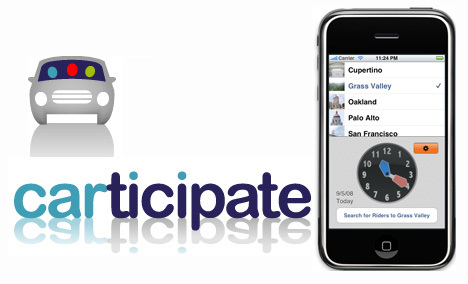 The Carticipate is a social network that aims bring together people with environmental interests. This is an app that seeks to save the planet from degradation. The app is available in English, Italian, Spanish, Dutch and French. The app has long-term benefits to the environment. This application is as important as having your tax disc number for your car. Quality content is the key to invite the users to go to see the site, that’s what this site is providing.